Zenith Nutrition L-Arginine is a conditionally essential amino acid, meaning the body can synthesize sufficient amounts of it under normal conditions. 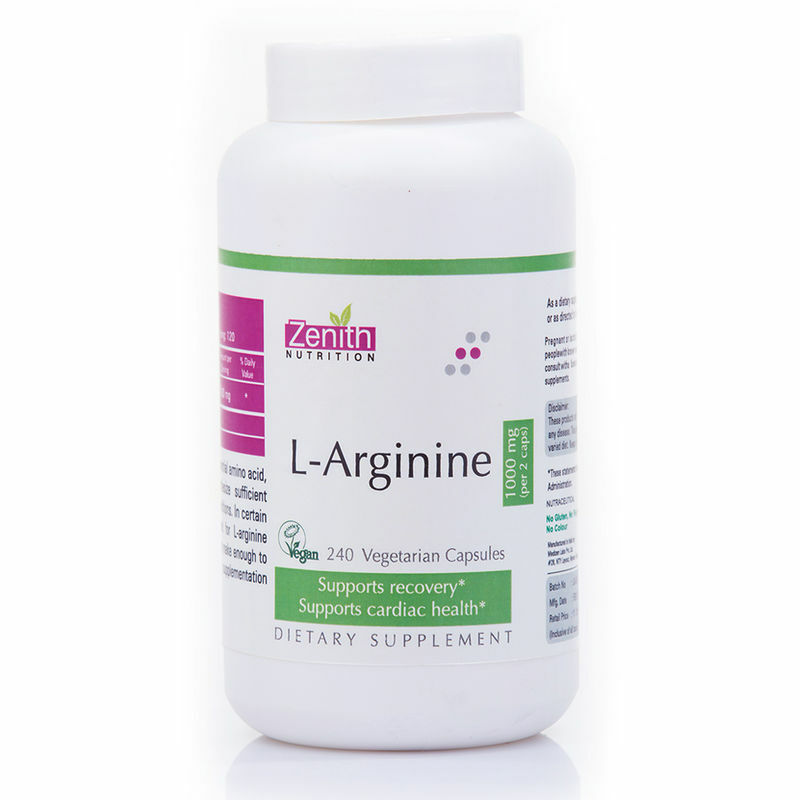 In certain situations, the body's demand for L-arginine increases but the body may not make enough to satisfy its demands, making supplementation beneficial. 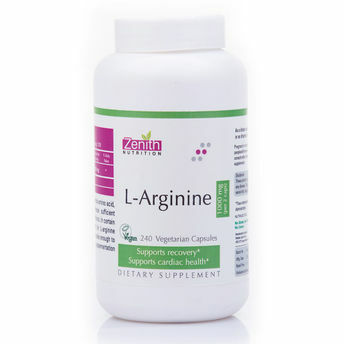 An essential amino acid that may play a role in supporting good heart health. 100% vegetarian capsules with no bad cholesterol. Free Of Milk, eggs, peanuts, tree nuts, shellfish, fish, soy, gluten, titanium dioxide.